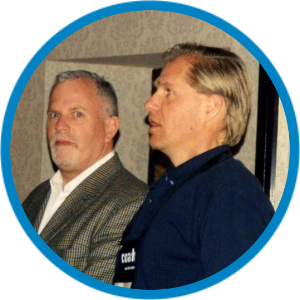 Thomas Leonard – the founding father of Professional Life Coaching – and I (Coach Dave Buck) hosted a conversation with CoachVille members in 2002 to discuss what coaching is! At that time, we had a lot of metaphors. In the NEXT few episodes of the TEAM CoachVille Podcast (6, 8 and 9) I am going to share with you a powerful definition of coaching. So I thought it would be very interesting to hear where we were with this 15 years ago to set the stage for how far we have come! One of the things I am excited about doing with the TEAM CoachVille Podcast and Game is to share with you from our Thomas Leonard audio archive! So this is just the first of many. Quick personal note: You may be wondering… is it weird listening to myself on audio with Thomas from 15 years ago? Answer: “Yes. Very”. And also inspiring knowing that we are still living and loving the vision we had back then. GREAT IDEA: click the down arrow on the upper right of this audio. Download the audio to your audio player of choice and take me and Thomas with you on a drive, run or walk. We are great company! Here is the article. It contains a transcript of the call.